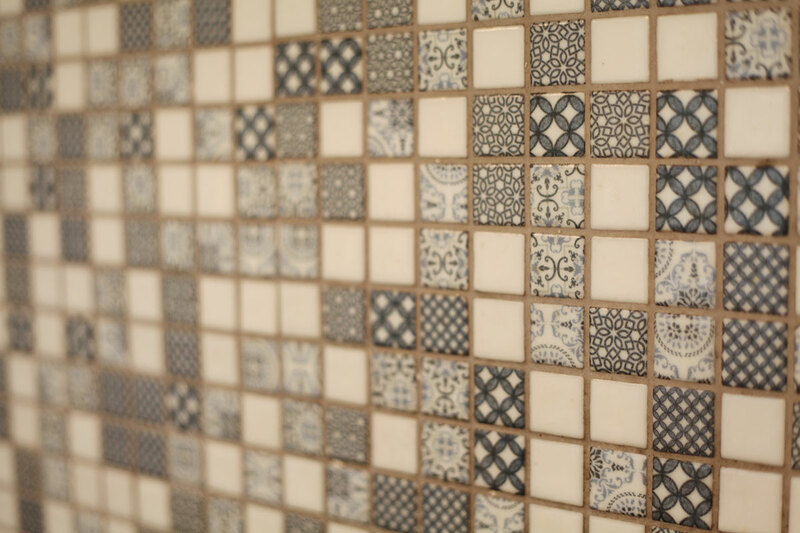 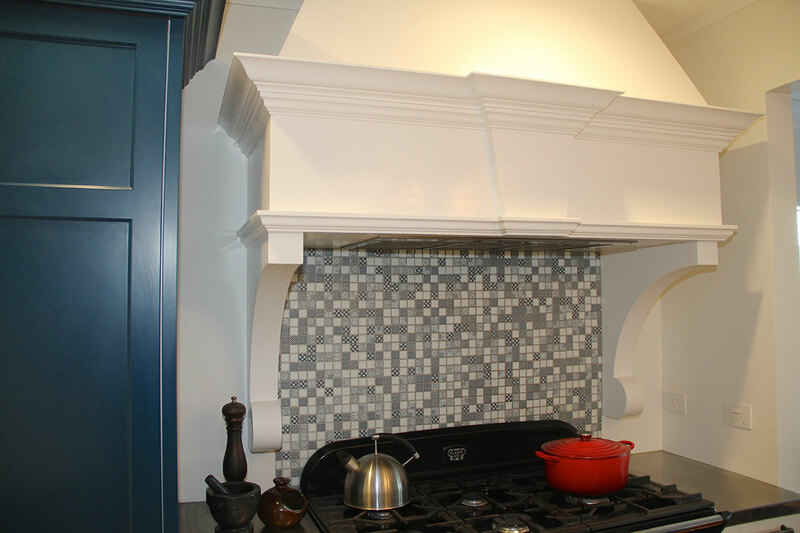 A lovely combination of traditional, ornate colonial styling has combined with new materials and manufacturing techniques to produce a seamless end result. 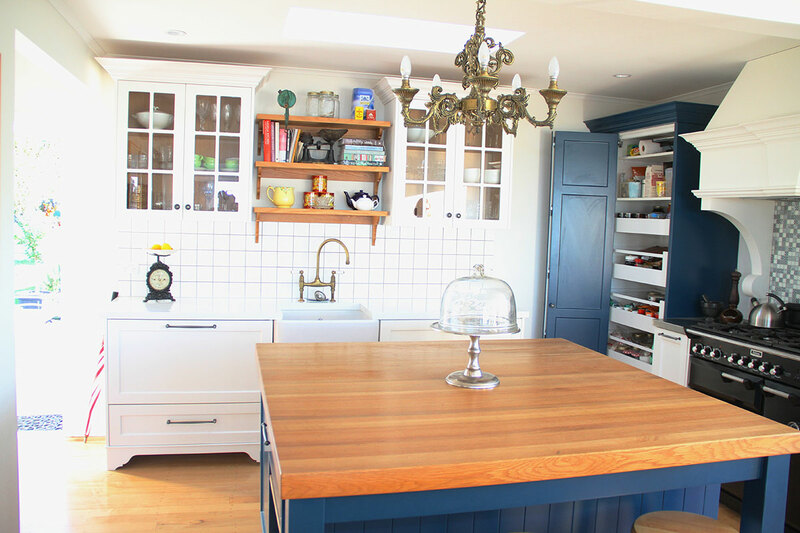 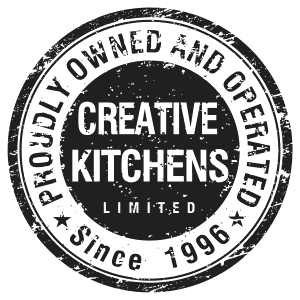 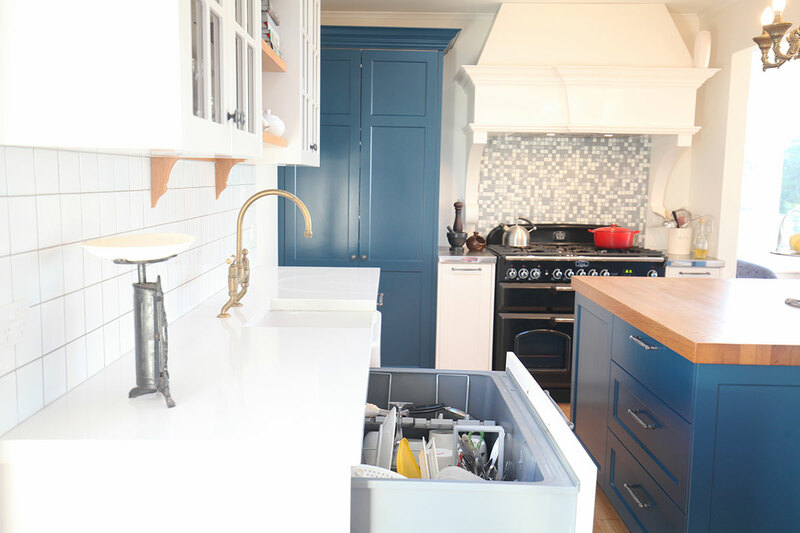 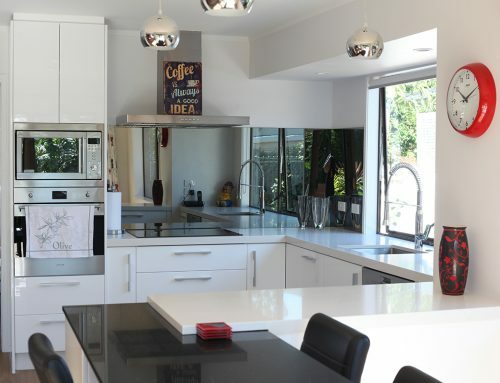 Creative Kitchens has created a unique kitchen/laundry renovation which suits this character Cockle Bay home down to a tee. 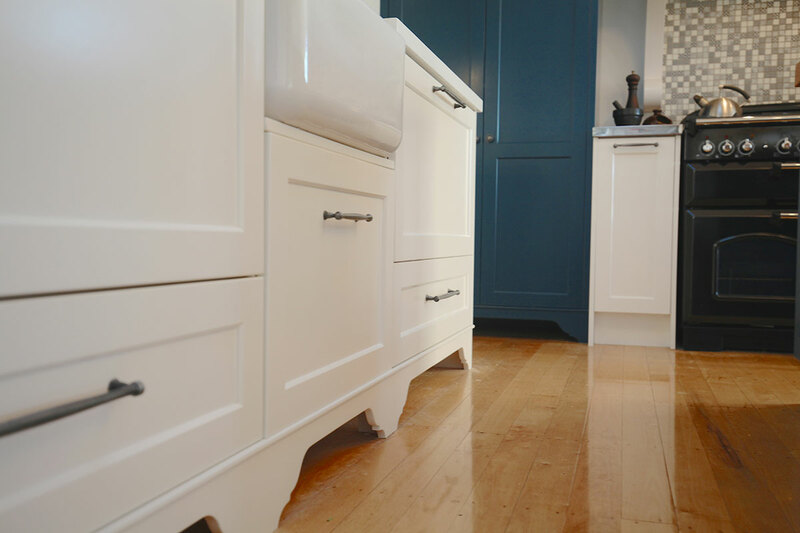 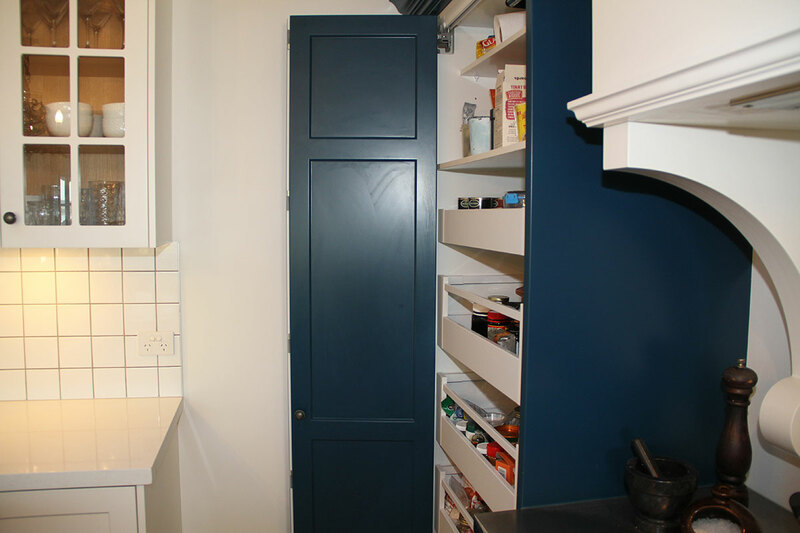 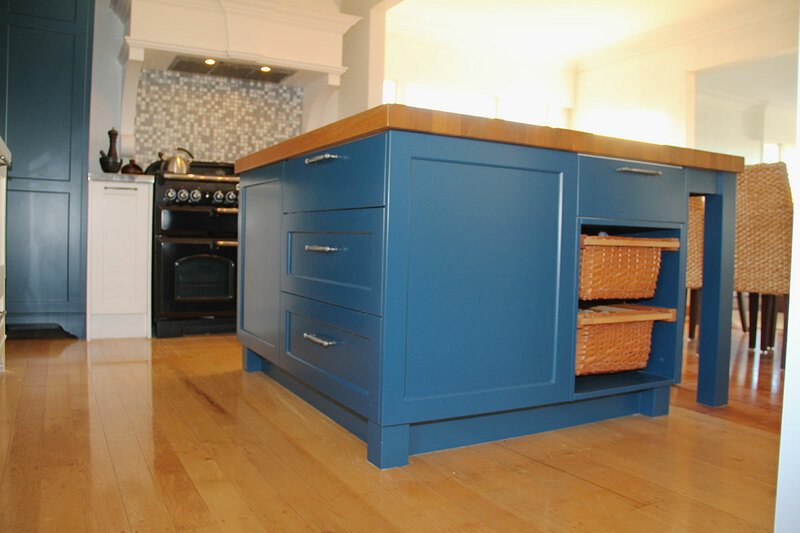 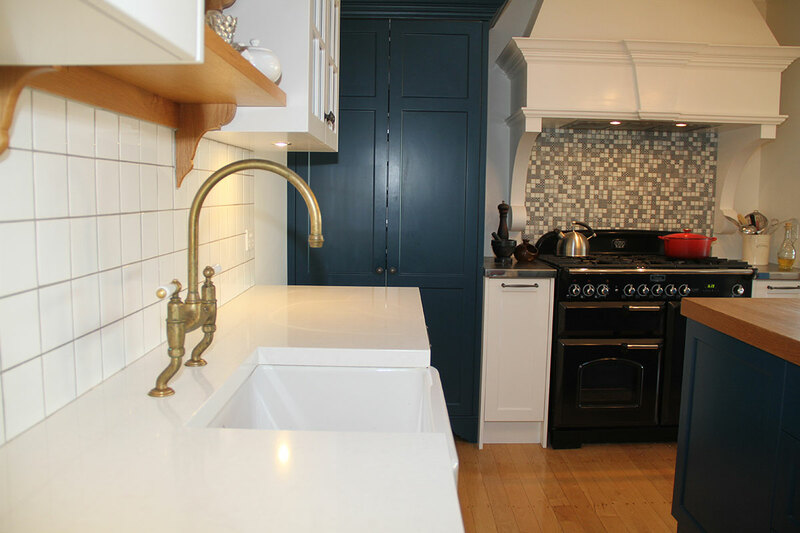 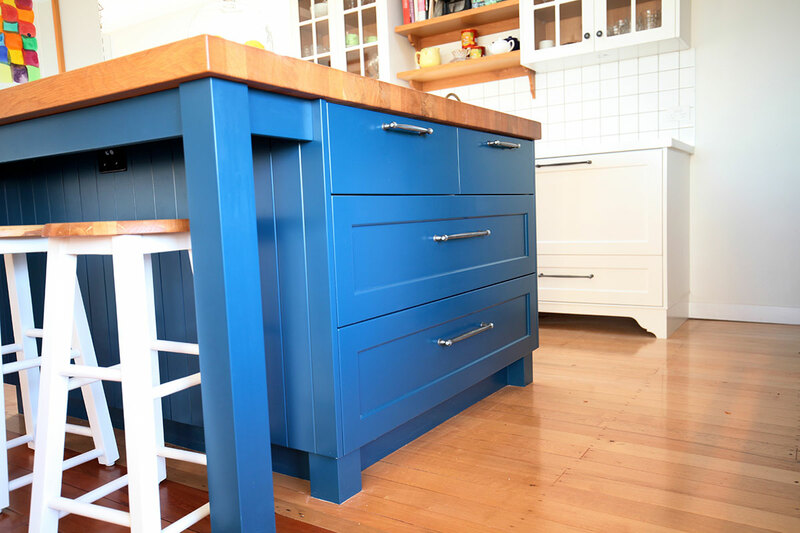 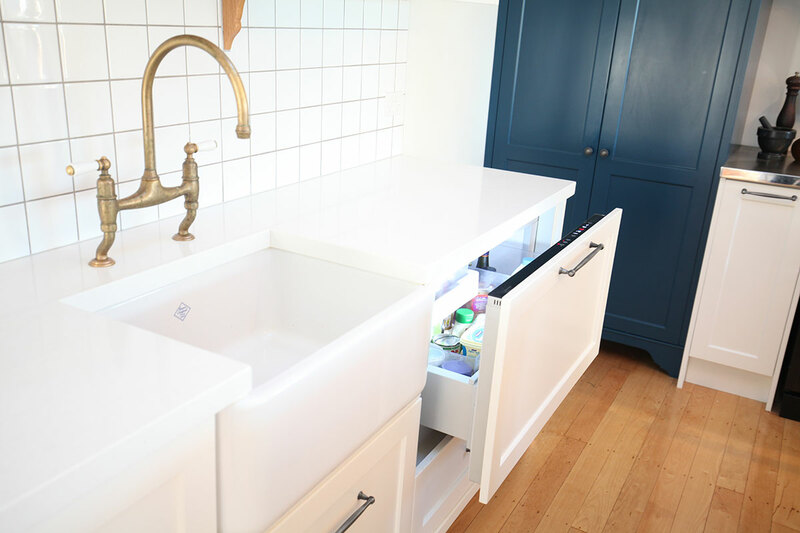 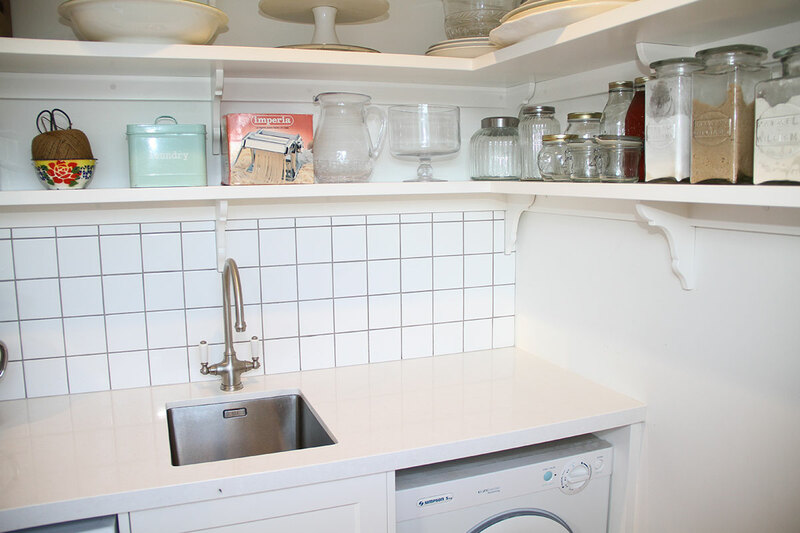 The new kitchen and laundry cabinetry is constructed using Routertek doors and panels, lacquered in a satin finish and in a colour hand-picked by the client. 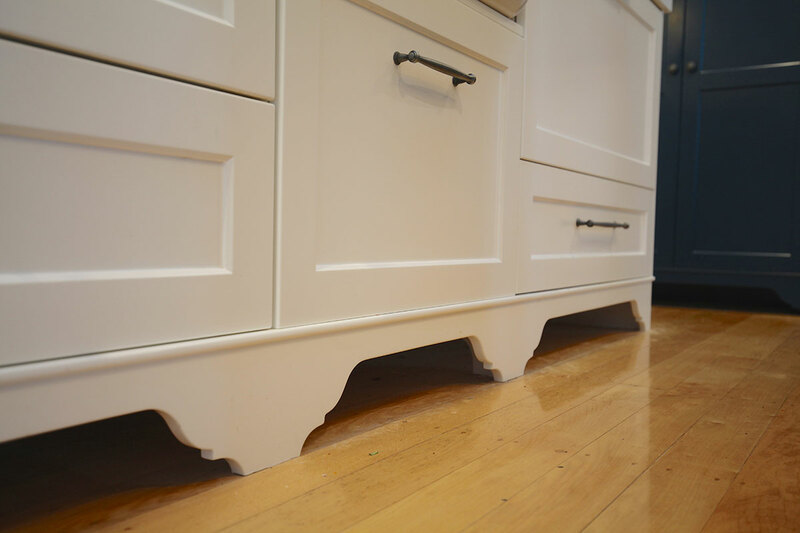 You will see in the gallery the points of difference are the traditional colonial mouldings across the tops of the cabinetry as well as the feet on selected cabinets. 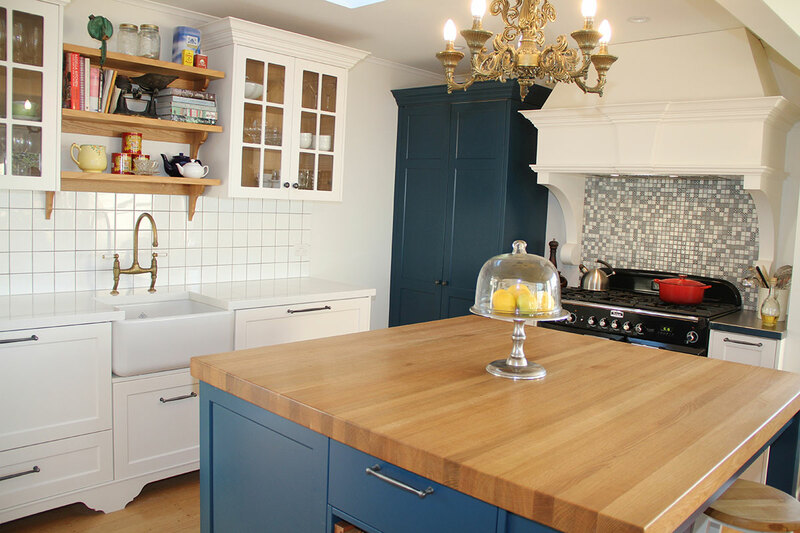 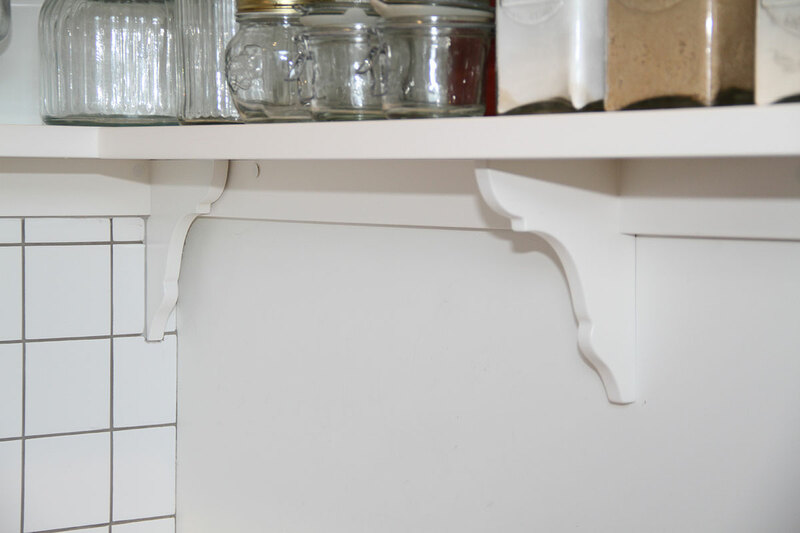 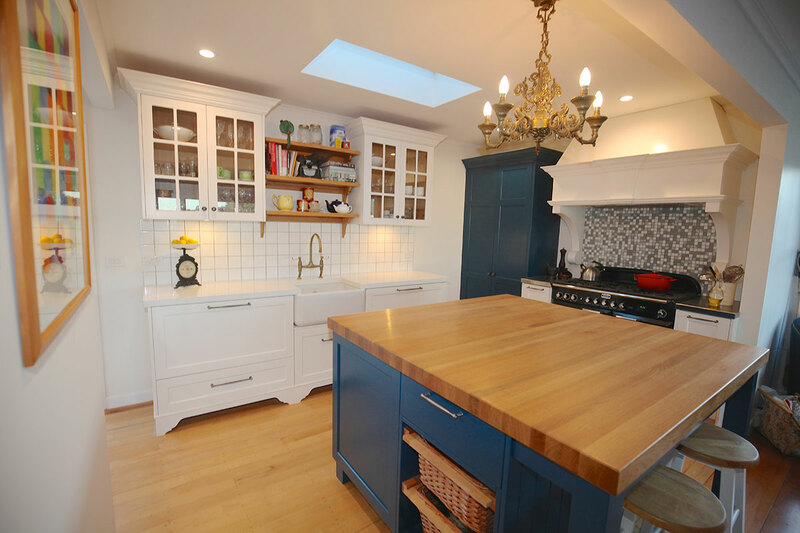 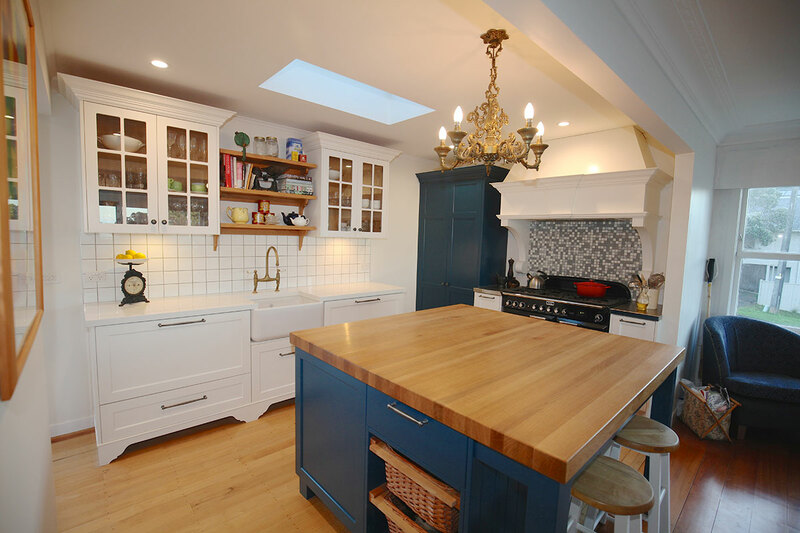 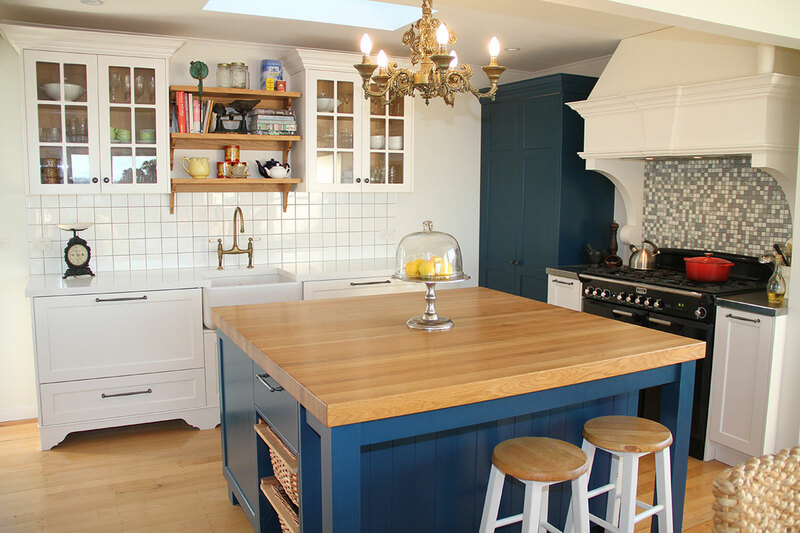 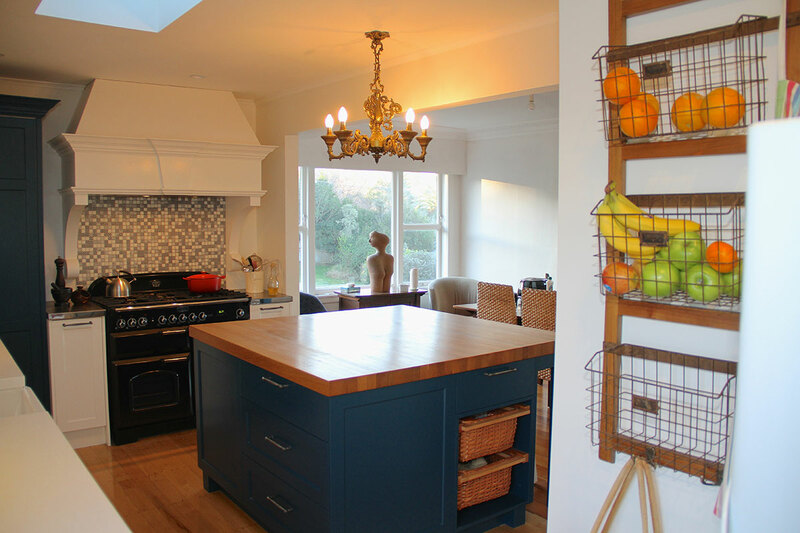 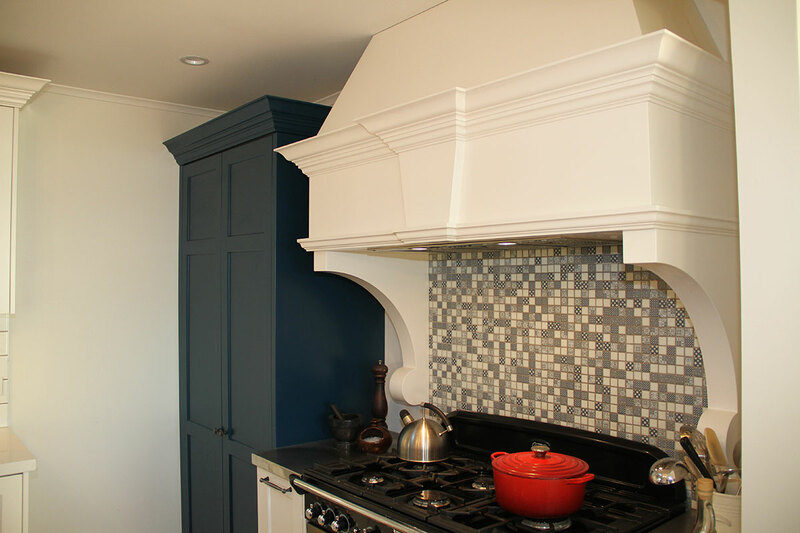 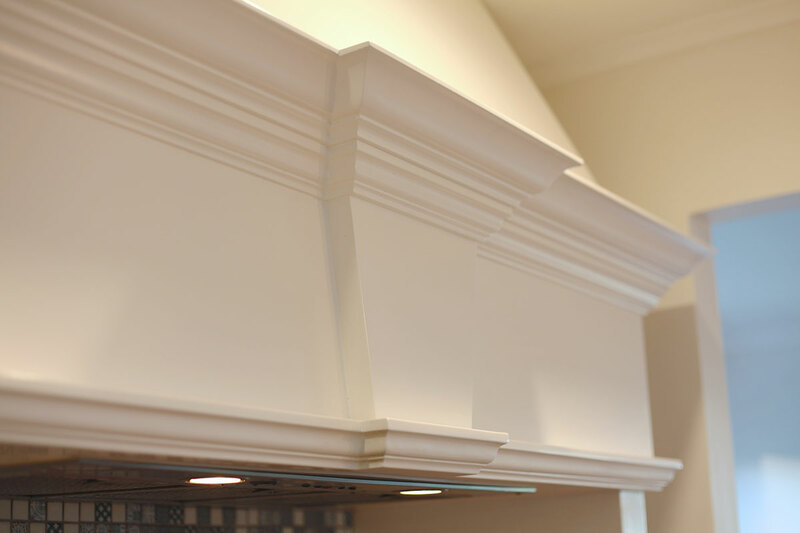 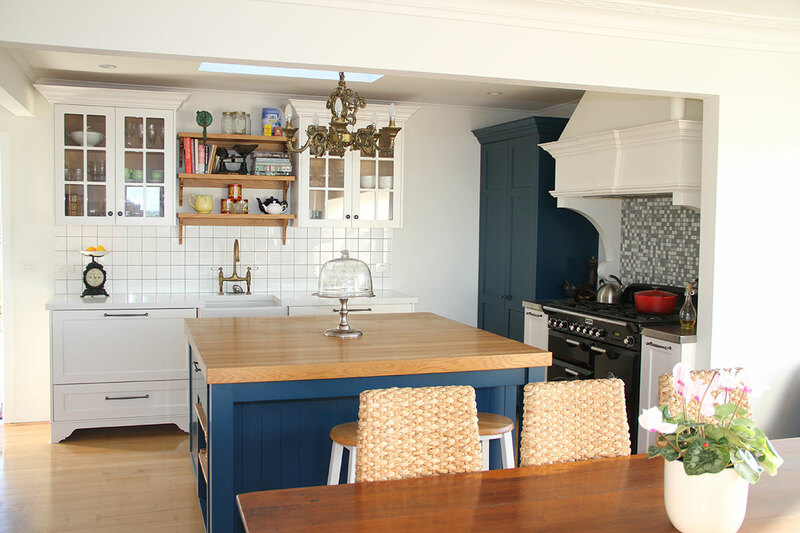 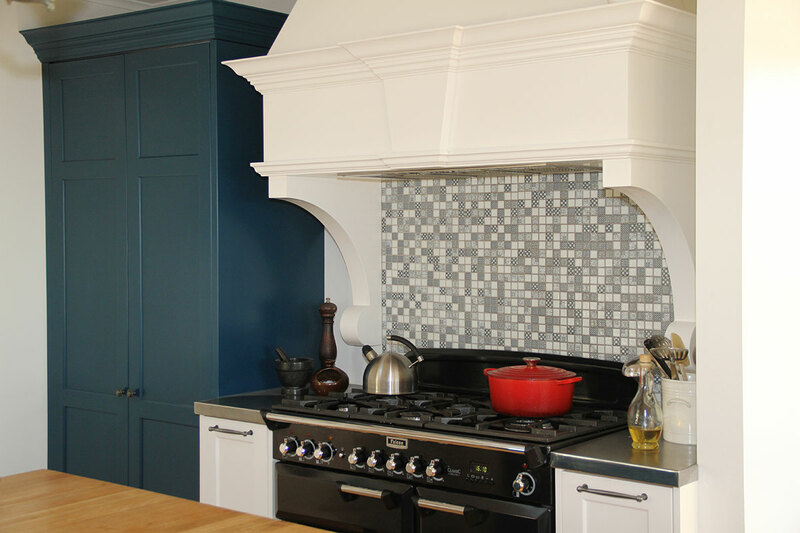 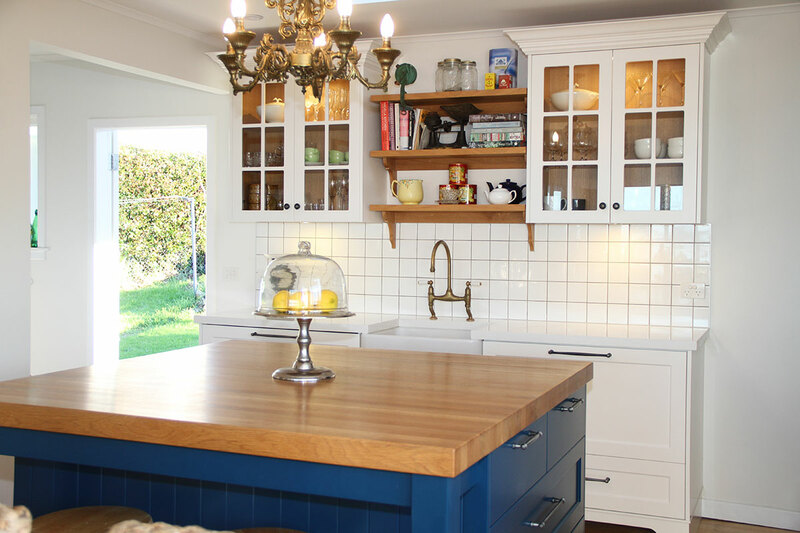 The rangehood shroud was built with moisture-resistant MDF and lacquered to suit. 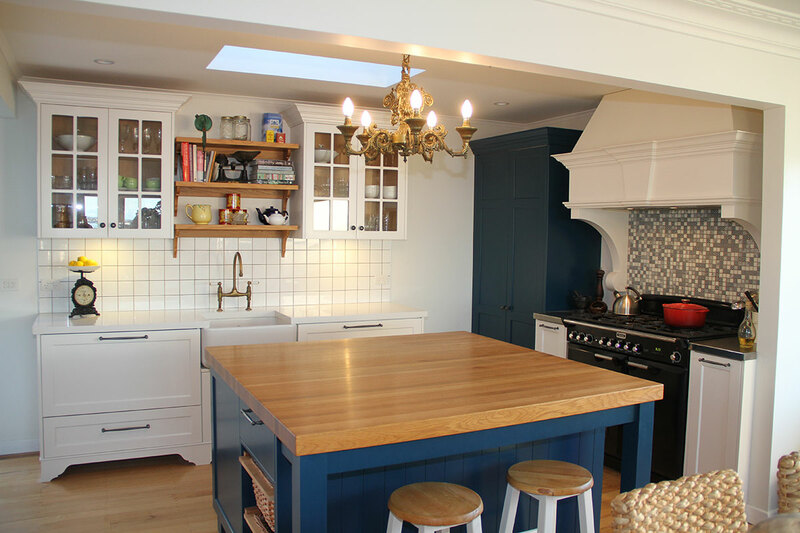 A solid Oak timber benchtop has been applied to the island section. 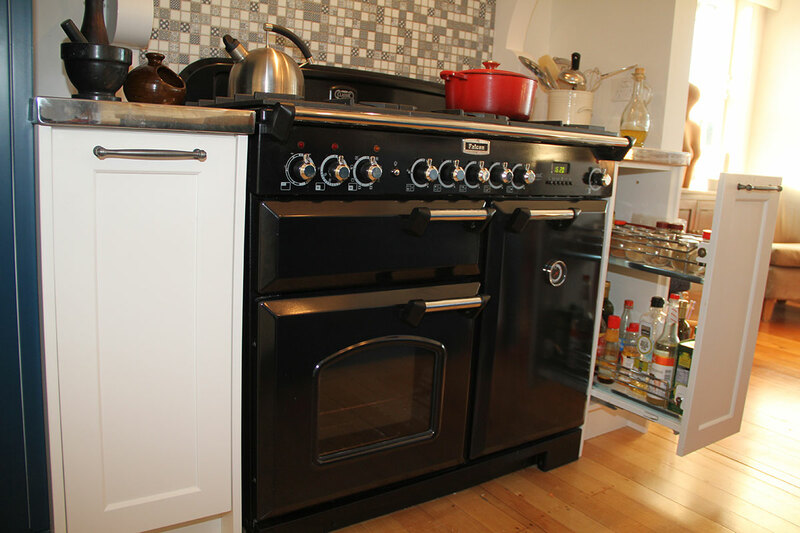 Stainless steel tops flank each side of the delightful Farmhouse-style free-standing traditional stove. 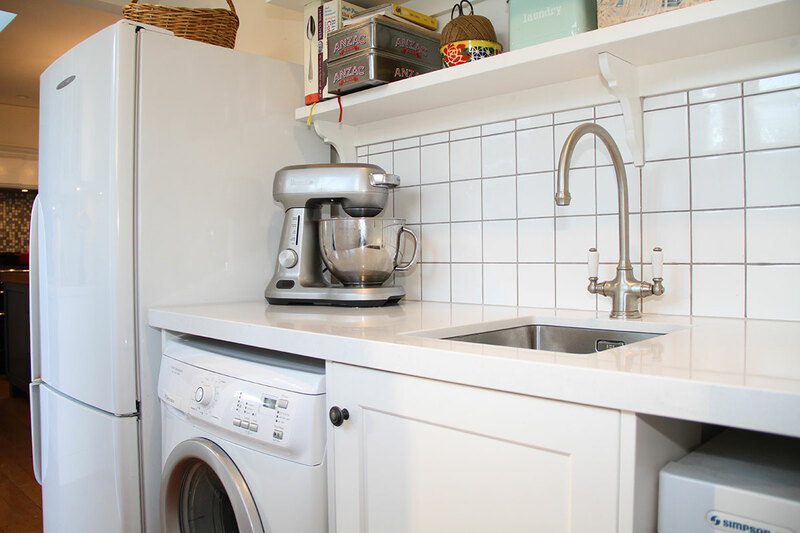 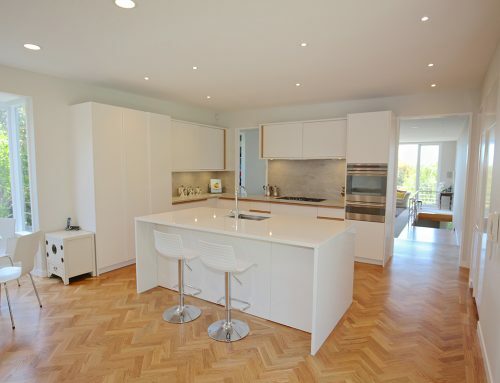 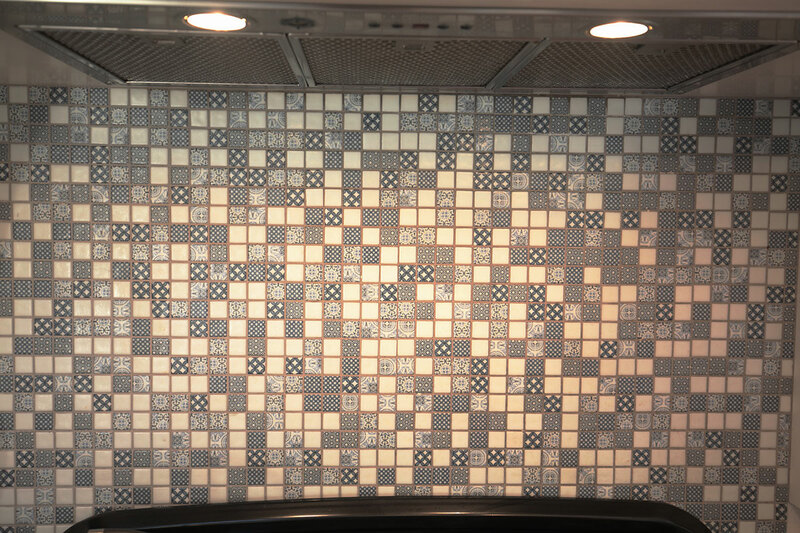 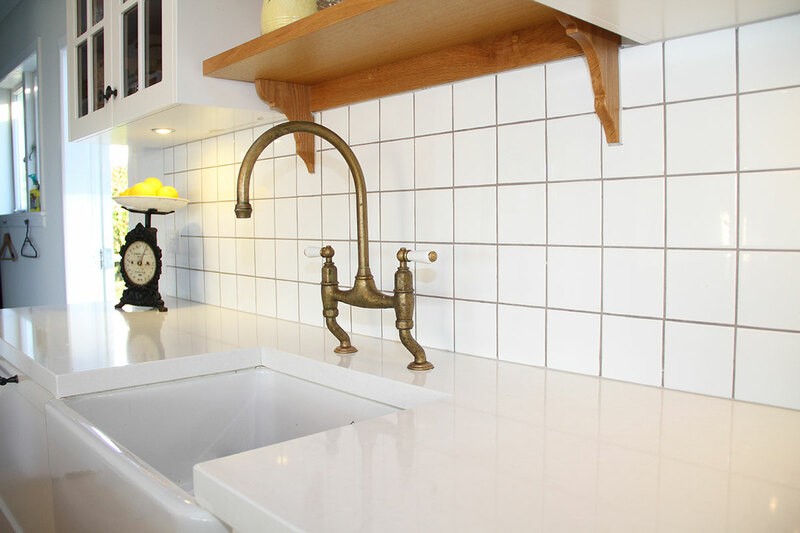 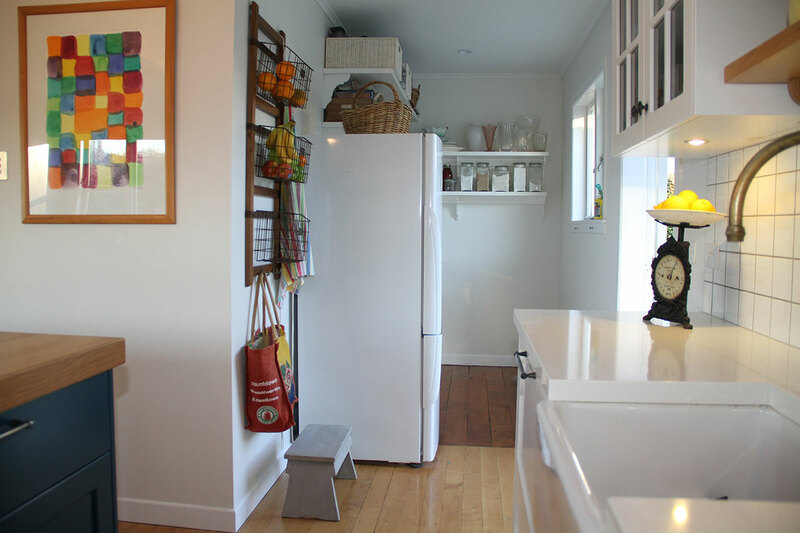 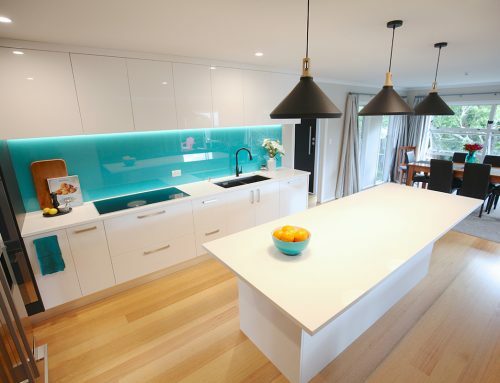 Modern white engineered stone benchtops have been implemented elsewhere. 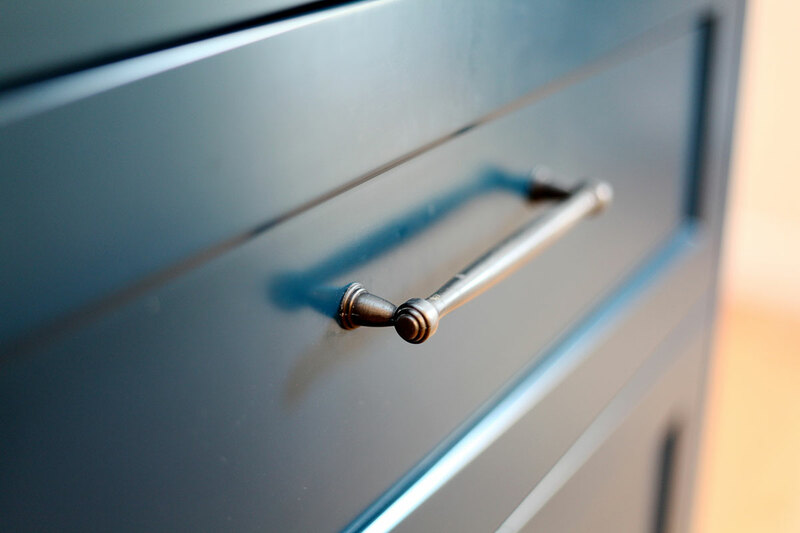 All cabinetry hardware used is our favoured top-quality Blum brand.